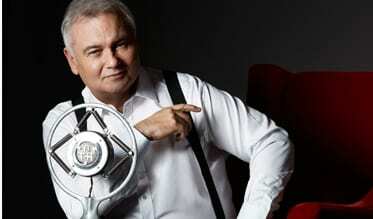 Legendary TV and radio broadcaster Eamonn Holmes OBE, takes over the daily 4-7pm drivetime slot from Monday. Current mid-morning host Julia Hartley-Brewer moves to Breakfast bringing you her no-nonsense approach to the biggest stories of the day from 6:30am. Broadcaster Mike Graham will now present mid-morning from 10am with regular co-host and Theresa May's former Director of Communications Katie Perrior, to bring you the latest news and political analysis. Jamie East joins talkRADIO from its sister station Virgin Radio, taking on the 1-4pm slot until a brand new presenter is unveiled in April. He'll be joined by a host of co-hosts including Melanie Sykes. Jamie has been replaced on Virgin Radio with TV and radio presenter Eddie Temple-Morris. Eamonn Holmes said: "You won't be disappointed when you tune in to talkRADIO Drive. I will be an old voice at a new time. "Whether you are in your car going from job to job, collecting your kids on the school run or pottering around at home this will be the show that you can't afford to miss. "I'll bring you serious news with a smile." talkRADIO Programme Director Dennie Morris said: "This new line-up is sure to get you talking. Eamonn is a legend of broadcasting and will make waves on talkRADIO strengthening our roster of expert presenters. Whilst the brilliant Julia Hartley-Brewer will be setting the agenda in her new slot bringing you everything you need to know in the mornings." "talkRADIO is the place for debate, for our listeners up and down the country." Julia Hartley-Brewer said: "I'll be setting my alarm that bit earlier to bring our wonderful listeners the latest no-nonsense news, now that Brexit really does mean breakfast." You can tune in to talkRADIO on DAB, online via talkRADIO.co.uk, and via the iOS and Android apps.